Just savory, salty, crunchy, and delicious, these garlic parmesan pumpkin seeds are a fabulous fall snack! Put the dried seeds in a bowl and pour the melted butter over the seeds. Add cheese and garlic powder. Stir to coat well. 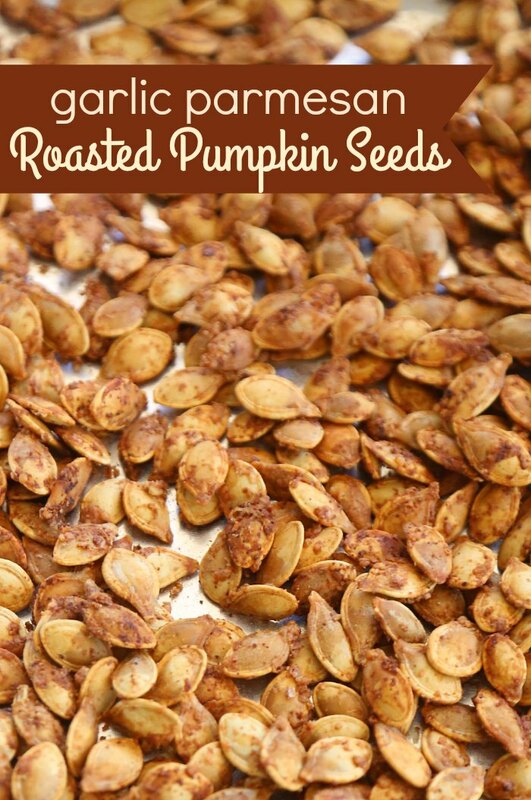 Spread the seeds onto lined (parchment or foil) baking sheets. Bake at 325 for 30-45 mins (or until the seeds look golden brown), stirring/tossing seeds every 10 minutes to prevent burning.